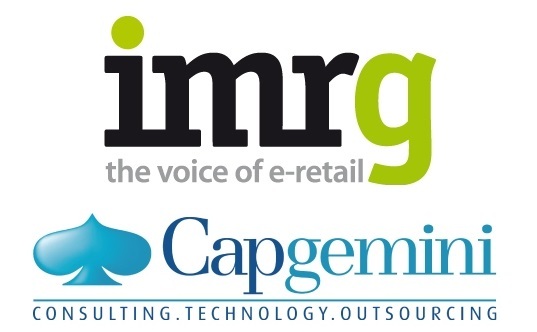 Entries from Digital Intelligence tagged with "imrg capgemini"
Online retail delivery order volumes were up 13.9% year-on-year in May, according to the latest data from the IMRG MetaPack UK Delivery Index. UK online retail sales were up +15% year-on-year (YoY) in February, according to the latest figures from the IMRG Capgemini e-Retail Sales Index, building on solid growth in February 2016 (+16%). The IMRG Capgemini eRetail Sales Index has revealed that the long awaited heatwave that much of the UK experienced last month, as well as the hottest August day in three years, is likely to have contributed significantly to the strong performance of the Index. Online retailers are focusing more on retaining existing customers than acquiring new ones, as the active customer retention rate reached a record high of 36.4% during the period May to July 2016, a full five percentage points up on the same quarter last year, according to new research. Online sales have enjoyed the highest yearly growth rate since November 2014, when Black Friday caused the Index to surge, with much of the increase down to heavy discounting. Online sales grew 13% year-on-year in April – following an unprecedented dip of four months of single-digit growth, according to the latest figures from the IMRG Capgemini e-Retail Sales Index. The shift toward using mobile devices for shopping online continues, with 40% of UK online retail sales in Q4 2014/15 (November– January) completed through tablets and smartphones, according to the latest research from IMRG and Capgemini. A solid Christmas online finished off 2014, with new data from the IMRG Capgemini e-Retail Sales Index indicating that £104bn was spent online in 2014, the first time annual spending has exceeded the £100bn barrier. More than half (52%) of visits to UK retail sites are now coming from mobile, with over a third (36%) of UK online sales are now completed on a smartphone or tablet device, according to new research. Online retail sales exceeded expectations in December, with the IMRG Capgemini e-Retail Sales Index recording 18% year-on-year growth as a result of British shoppers spending £11 billion online - up from £9 billion spent in December 2012. New data from IMRG and Capgemini reveal that almost 1 in 5 (19%) multichannel online sales are now click and collect. Mobile shopping is set to boom this Cyber Monday (the biggest Christmas shopping day online), but retailers are being advised to continue their marketing efforts throughout December. The online retail market continued to see steady growth in October, recording a solid 15% year-on-year increase, according to the IMRG Capgemini e-Retail Sales Index. Consumer spend with online retailers is forecast to reach £10.8bn in December this year according to analysis carried out on the IMRG Capgemini e-Retail Sales Index, which is the first time it will have gone over the £10bn mark. Figures from the IMRG Capgemini e-Retail Sales Index reveal the online retail market recorded a rise between August and September of 13%, the highest growth for this period in the 13-year history of the Index. A tipping point has been reached in online retail as all online UK growth is now coming from sales via mobile devices (smartphones and tablets), as sales via desktop flat-line, according to new data. Online retail sales in the UK were up 18% year-on-year in August 2013, following July’s 9% year-on-year growth, according to new research. The percentage of online sales completed through a mobile device (smartphones and tablets) has doubled in the space of a year according to figures from IMRG and Capgemini, illustrating just how quickly the popularity of using mobile devices for online shopping has grown. Mobile accounted for 20.2% of UK e-retail sales in the first quarter of 2013, up from 15.4% in the previous quarter, according to new data from the IMRG.